Known for kind pre-race words, his trail tenacity and his crowd rousing finish-line antics, Michael Valone is the consummate dreamer of dreams and screamer of screams. Michael originally started running to save his life and quickly found that the more he ran, the more alive he felt. 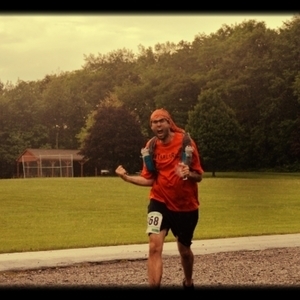 You can find Mr. Valone out on the trails running obscene amounts of miles with his friends. Michael Valone has been a guest on 3 episodes.